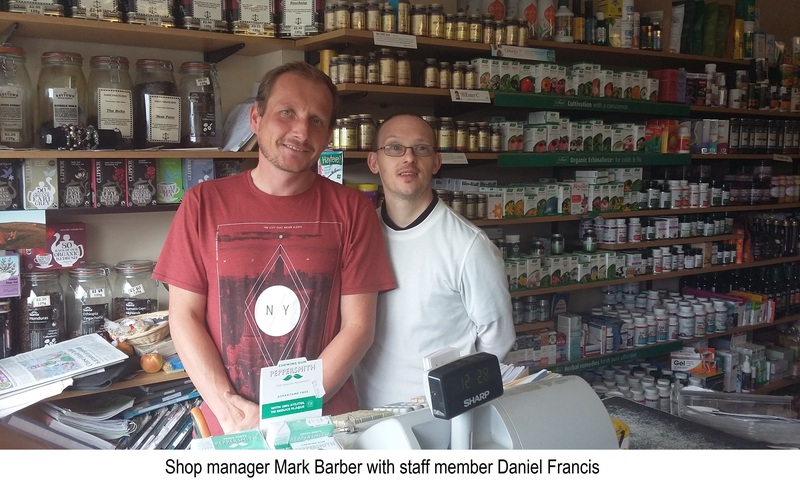 Danby Health Shop is what a social enterprise is all about, with plans to employ and support members of the community with learning difficulties, and with a concern for the environment existing at the heart of the company's outlook. It has been said that “the I in illness is isolation and the crucial letters in wellness are we”. As if setting out to prove this, Botton Village Camphill Community, a member of the Unite Community branch purchased and began running the Danby Health Shop at the beginning of April this year. Situated in the beautiful countryside of the North Yorkshire moors, it is the first such project for the community and was purchased by means of the wages that its members put into a common pool. Botton Village is a co-operative community established in 1955, where people with learning difficulties and those without have lived and worked alongside each other for many years. Although the population of the village has fallen since its heyday in the 1970s and 80s its core consists of twelve houses where shared living continues to take place. The shop, which sells a wide variety of products ranging from natural cosmetics to organic foods and fresh vegetables, is being run along the lines of a social enterprise. Individuals with learning difficulties will also be working there, and a concern for the environment exists at the heart of the company’s outlook. Fundraising for an electric delivery vehicle has already begun in earnest, and it is hoped that not only will the vehicle help expand the business, but that its message of inclusivity and mutual well being might also find its way out of Danby Dale and into the surrounding area. The austerity policies of recent Tory governments have hit the Social Care sector hard, with cuts to disability benefits and reductions in local government funding making the survival of places like Botton Village increasingly difficult. However some of those living there believe that by developing new initiatives such as the Danby Health Shop, the future would become not only more secure but an altogether more buoyant and reciprocal place to be, and that the community could begin to flourish once again. As company director and co-manager Mark Barber says, "We believe that everyone, regardless of abilities or needs, has a contribution to make to the community. Indeed, it is in making this contribution that we each find meaning and purpose in our lives. We are building a social enterprise which seeks to find imaginative ways in which people of all abilities can be productive members of the real economy". If you can help the fundraising activities in anyway then please visit their GoFundMe page.